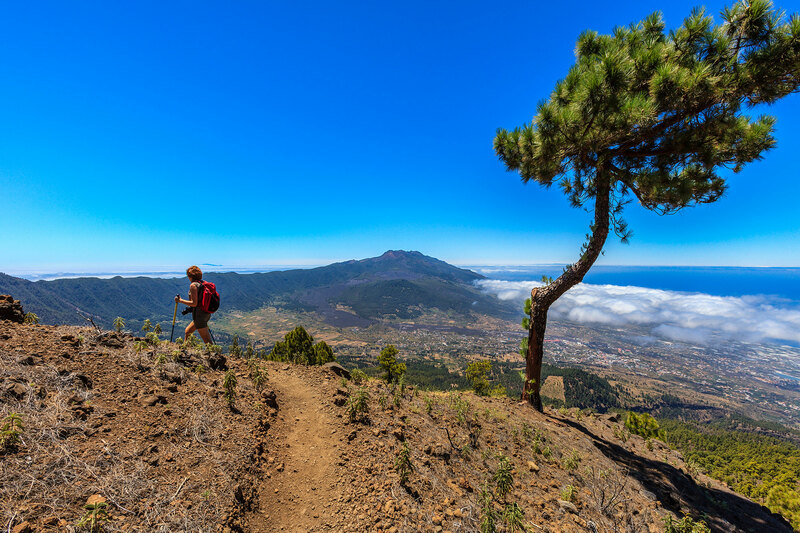 Known for its rugged forest terrain and its wealth of volcanoes, La Palma is one of the lesser known Canary Islands. Whether you want to relax on the glistening sandy shores or find local bars to experience the best of what island has to offer, La Palma should have something for you. Fortunately, if you are planning to travel here, there is a direct ferry service from La Gomera with Fred. Olsen Express that takes two hours from port to port with returns happening throughout the day. So it’s an easy day trip during your time at Hotel Jardín Tecina. Once you have explored the beautiful Garajonay National Park in La Gomera, La Palma is the second best place to see expansive national parks. Caldera de Taburiente National Park sits at the heart of the island and offers spectacular views of the Caldera de Taburtiente crater. If you adventure here during the day, you will get the chance to see some of the endangered flora, including the Canary Islands Juniper. At night, you can head to the summit of Roque de Los Muchachos (on the northern wall), where you will find Roque de Los Muchachos Observatory. Up here, you can see the night’s sky in full through one of the largest single-aperture optical telescopes. Plus, as an added bonus, La Palma has a low population rate, making the skies clearer to the naked eye than anywhere else in the archipelago. 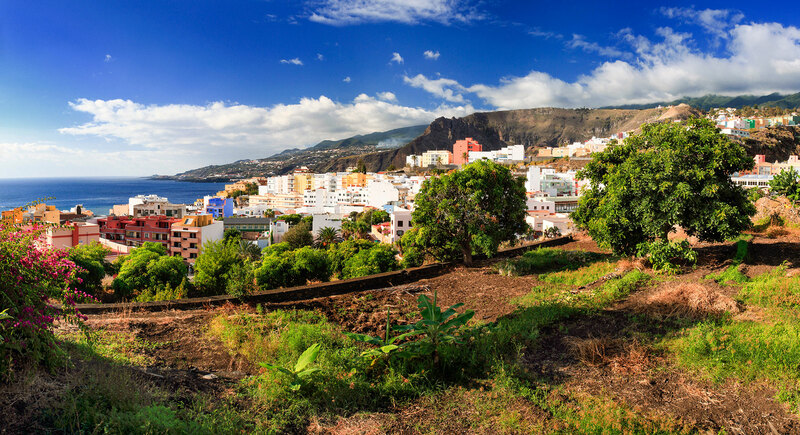 As the capital of La Palma, Santa Cruz plays a vital role in the preservation of the country’s existential history. Being the central hub for the city’s ever-growing fishing trade, there are many architectural sights that date back to the early 15th century. While you walk the cobbled streets, exploring local shops and restaurants, find a street food vendor and taste some authentic Canary Islands food. Apart from exploring the city, Maroparque, the local zoo, is home to a range of exotic animals from around the world. Or, you can marvel at awe-inspiring artwork and buy some handcrafted souvenirs at the Insular Museum of La Palma. If you are looking for a more exhilarating experience, boat tours from the island are the perfect way to delve into the surrounding marine life. 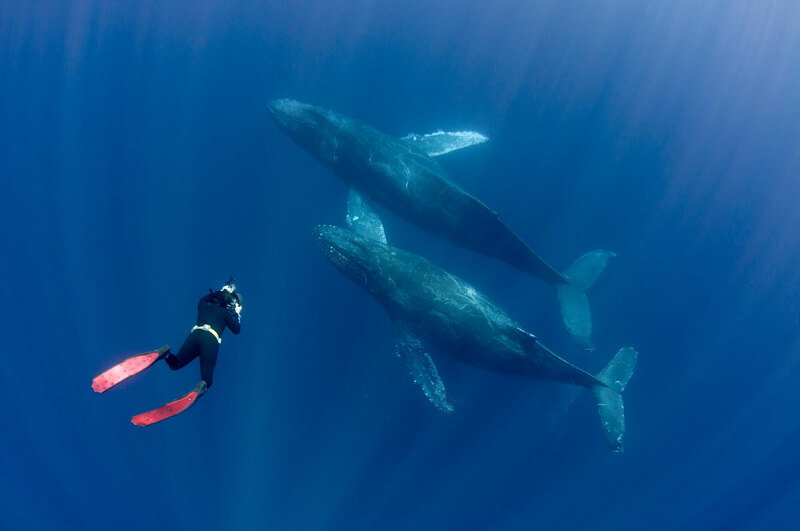 Ocean sunfish, Risso’s Dolphin, humpback whales and loggerhead sea turtles are amongst the wildlife that can be found here and, whether you are a diving expert or completely new at this, there are plenty of options to choose from. If you prefer to stay near the surface, snorkelling is your best bet, as the clear waters of the Mediterranean will allow you to see the ocean floor. Finally, if you don’t want to get wet at all, you can enjoy the warm temperatures and watch as gigantic whales breach the ocean surface. If you are planning to visit the island of La Palma, La Gomera is just a short journey away. Hotel Jardín Tecina is the perfect hotel for you, with a private golf course, excellent facilities and tasty dining venues. To book your stay, call our experts on 0800 035 0704 and you could enjoy savings of up to 20% on your accommodation.